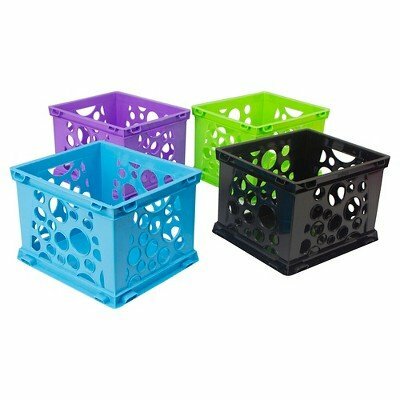 Organize your stationery, jewels and more with the Storex Mini Storage Crates, 3ct in Multicolor. It features interlocks and can be stacked in every direction to create a customized and unique desktop storage solution. It brings a colorful touch to your desk space and is the perfect organizational hack to keep some of your tiny knickknacks! You can place the set together or scatter them throughout the house either ways it's ideal for ring the convenience.